Jeff VanderMeer has been named the 2016-2017 Trias Writer-in-Residence for Hobart-William Smith College. His most recent fiction is the NYT-bestselling Southern Reach trilogy (Annihilation, Authority, and Acceptance) from FSG, which won the Shirley Jackson Award. The trilogy also prompted the New Yorker to call the author “the weird Thoreau” and has been acquired by publishers in 28 other countries, with Paramount Pictures acquiring the movie rights. VanderMeer’s nonfiction has appeared in the New York Times, the Guardian, the Washington Post, Atlantic.com, Vulture, Esquire.com, and the Los Angeles Times. He has taught at the Yale Writers’ Conference, lectured at MIT, Brown, and the Library of Congress, and serves as the co-director of Shared Worlds, a unique teen writing camp. His forthcoming novel from Farrar, Straus and Giroux is titled Borne. He lives in Tallahassee, Florida, with his wife, the noted editor Ann VanderMeer. We’ll be talking mostly about Jeff’s Southern Reach trilogy; the first book, Annihilation, is being made into a film by Alex Garland, which is very exciting. I loved his Ex Machina, which makes me super pumped about him directing Annihilation as well. Mary: Your Southern Reach trilogy is a captivating set of novels. I think my new favorite genre may be weird fiction, as it seems to be an intriguing way to explore ecological catastrophe. I’ve read about dark ecology as a genre approach. 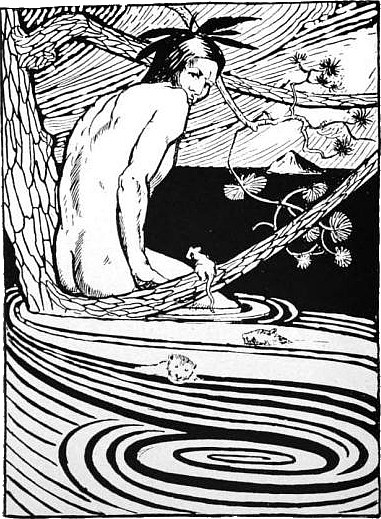 According to Timothy Morton, it “puts hesitation, uncertainty, irony, and thoughtfulness back into ecological thinking.” You seem to be the “Weird Thoreau,” according to the New Yorker, and the king of weird fiction. What inspired you to use weird fiction to look at at our environmental crises today, which are more frightening than ever before? And how does dark ecology enter your novels? Jeff: It came about kind of naturally. I’ve always explored weird real-life biology in my fiction, especially in the context of fungi, which often seems alien in its details. These are in a sense transitional forms, between animal and plant, that are incredibly complex and which we don’t quite understand in all of that complexity just yet. So often it’s not that you go out to explore ecology through weird fiction, but that the weirdness of the real world suggests certain impulses in your fiction. The Southern Reach is just the most personal exploration, and thus the dark ecology content probably is more intense and more front-and-center. 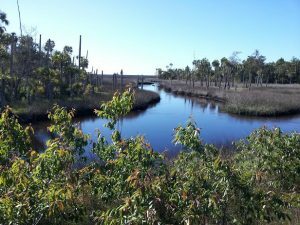 This is largely because the setting is highly personal—North Florida wilderness—and certain elements, like the (at the time) seemingly endless spiral of the Gulf Oil Spill that kind of took up residence in my subconscious. I’ve also been surrounded by scientists during my life—my dad is a leading research chemist and ecologist dealing with invasive species, including for the last 35 years, fire ants. My step-mom is a leading lupus researcher. My mom is an artist who also was a biological illustrator for many years. My sister is in environmental science and so is my stepdaughter. And I always wanted to be a marine biologist growing up, so there’s a kind of amateur naturalist impulse built-in to my life. Still, I was determined that because the entire premise of the trilogy—this encounter with something comparable to a hyper object like global warming, something seemingly inexplicable—was so engaged with these issues, I didn’t want to be too direct. So there aren’t many direct conversations about ecology or pollution or these other issues. It’s just always there, even when it seems like it’s not, pulsing in the backdrop. Mary: It seems that the less direct approaches, those that don’t involve being didactic or preachy, might be more effective. Global warming and ecological devastation are an example of hyper objects—which, according to David Tomkins are “events or systems or processes that are too complex, too massively distributed across space and time, for humans to get a grip on.” I think most of us fail to to be able to really grasp or cope with these concepts because they are so abstract, even if we know them to be real. If we cannot comprehend these things, it’s an incredible feat for an author to break them down in storytelling. How do you even begin to do that, and what hyper objects would you say you explored in the trilogy? Jeff: There’s a sense in which if the Southern Reach is effective in this regard it’s because I internalized a number of relevant areas of study prior to writing the novels, and then it just came out as an expression of what made sense in the moment of the scenes. For example, if I hadn’t had the life experience of day jobs dealing with governmental agencies before I became a full-time writer…the aspect of exploring just how irrational human systems can be, and how that is made worse by coming into contact with a hyper object, would just not be hardwired into the novels. It’d be more like a too-conscious overlay. The difference between swimming for a dolphin and a human being—this is what you hope for to happen sometimes in your fiction. That you get to someplace really interesting where you’re swimming like dolphin, not like yourself. Of course, it’s at the expense of other things. Government stands in for corporations in my novels because adding the overlay of corporations would be one layer too many to be effective, given the other things I’m juggling. I also had a lot of fun injecting things into the backdrops of scenes that pertain to these themes, though. In almost every scene, especially in Authority, there’s secret stuff going on in the backgrounds. Mary: I read that Michael Bernanos’s The Other Side of the Mountain inspired your writing. After researching the book I have ordered it and can’t wait to read it! What are your thoughts on The Other Side of the Mountain, and are there any other authors or books influenced your writing and reading? Jeff: In an existential yet unique way, Bernanos’ novel encapsulates the way in which we come up into conflict with the walls of the world, with a nature that is not our modern human nature/tech and how we misunderstand it and yet also the novel is sympathetic to the attempt to survive, to understand, even, when understanding is impossible. It’s a deeply sad book but also deeply human and deeply hopeful in its way. As for other books, I’m just reading too, too much for me to pull out much of a list. I do think the book on media theory, The Marvelous Clouds, is kind of a missing link in the discussion of Nature versus Culture that is sometimes in the backdrop of discussions about our modern dilemma and global warming, though. Mary: How does it feel to be a successful novelist whose work is being adapted to film? Can someone watch the movie without reading the book? I guess you can’t know, or perhaps say, yet, but are there talks about also screen-adapting Authority and Acceptance? Jeff: The first film only takes material from Annihilation. It’ll be recognizable to readers of Annihilation, but also very different. You could think of it as being about an expedition similar to but different from the twelfth. Which is to say, I think you’ll be able to read the book and enjoy the movie as two separate artistic visions. The plan is to do three movies, but of course the first one has to come out and do pretty well first. I’m not really sure how to answer the other part of the question. I’ve been a full-time writer since 2007. 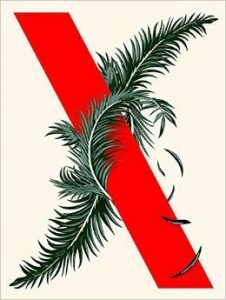 The Southern Reach novels have reached a new peak of popularity for me, but then my career has largely been a slow upward climb, from the small and indie presses to large commercial houses to, now, being published by possibly the most prestigious literary publisher in the U.S., Farrar, Straus and Giroux. I can’t lie and say it hasn’t been at times a new experience, but I thought that as soon as I wrote novels set in some semblance of the real world it’d be that much easier to find readers. And that’s proven true. Mary: Are you going to do a Weird Nature anthology? What’s that all about? Jeff: At this point, I think it’s more than my wife Ann and I will be including as many ecology-themed stories in our forthcoming anthologies than specifically doing a weird nature anthology. But I am working on a nonfiction book about storytelling in the modern era, specifically in regard to global warming and ecological issues. Mary: I’ll be looking forward to that and your and Ann’s Big Book of Science Fiction. Do you have any other comments about your trilogy or what you are working on next? Jeff: My next novel is Borne, which is set in a mid-collapse city and involves issues of scarcity, biotech, and human connection. It also features a giant psychotic floating bear. Mary: Sounds up my alley, so set course for great reads ahead. Thanks so much for talking with Eco-fiction. It’s a great honor to meet the brain behind the Southern Reach and other works from the past and yet to come. Thank you Mary for all of the wonderful, including weird new eco-fiction genres you bring to our attention. It is wonderful to be au courant with what is going on in this profoundly important genre that you have such a marvelous range of knowledge about.